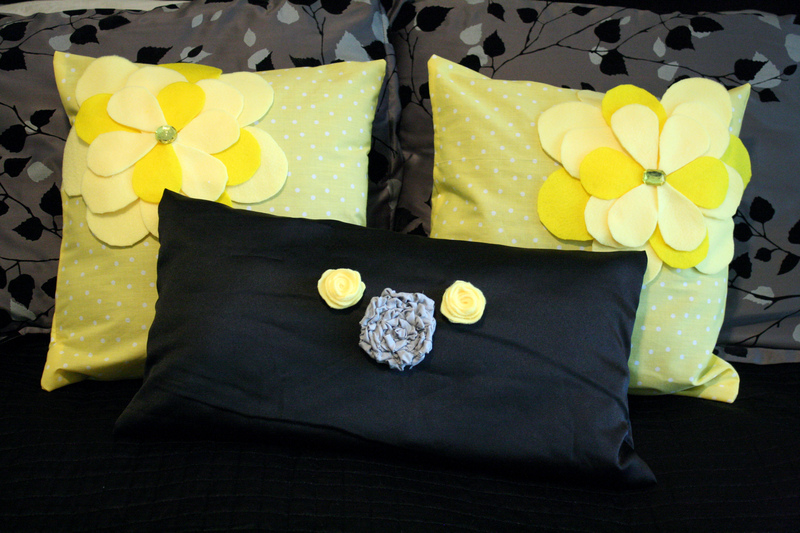 My husband finally relented and let me add some yellow into our already gray and black bedroom. 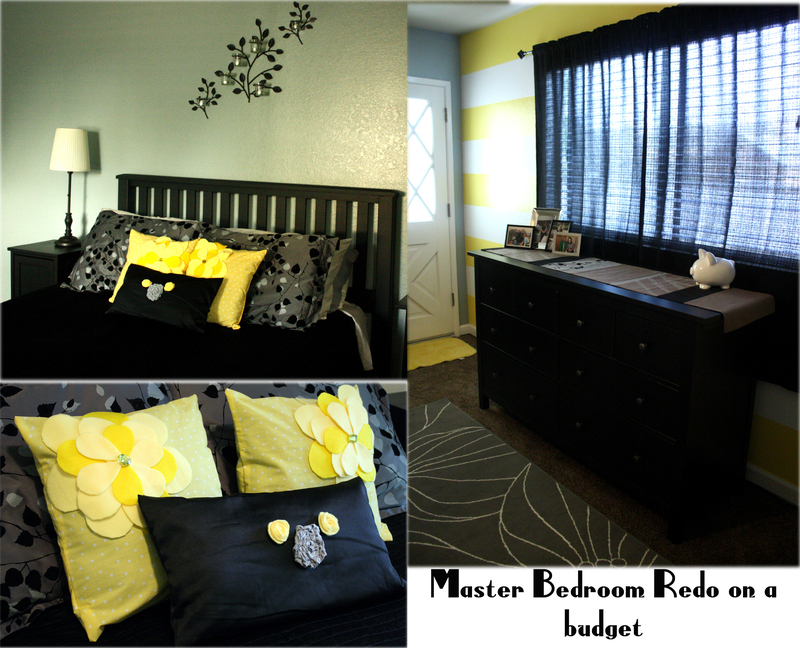 It may be overdone, but I think a yellow, gray, and black bedroom looks great. To celebrate, and to actually add some of the color, I started off by making some throw pillows for our bed. I had 2 square pillows and 1 rectangular pillow already, I just needed to make covers for them. Instead of cutting out several pieces and adding a zipper or button, I went with the envelope style pillow cover. An envelope style pillow cover is probably the easiest pillow cover and you only need to cut one piece of fabric! I could attempt to draw you out a tutorial, but so many already exist. You can find some HERE or HERE or search for yourself. All you need is a piece of fabric a little longer than 2x your pillow and slightly wider. You could use your sewing machine, but if don’t have one, you could try the iron on hemming tape or maybe attempt the hemming glue as well.